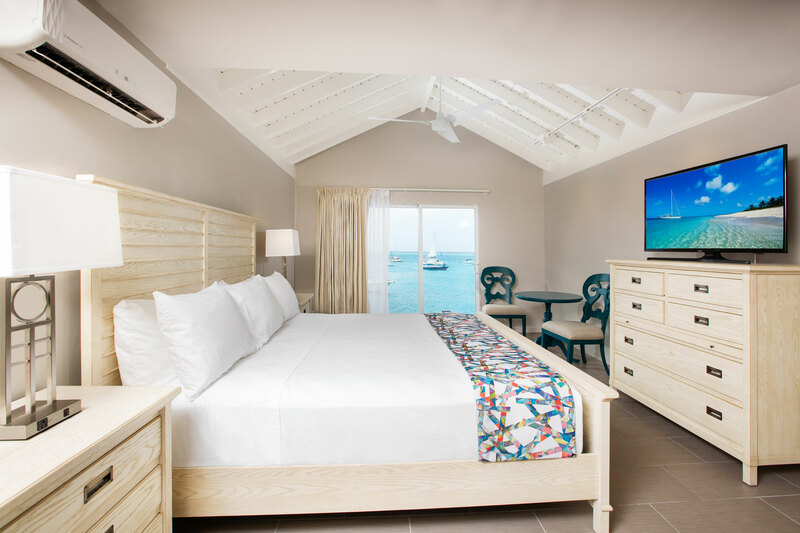 The Caravelle Hotel and Casino features forty-three guest rooms including twelve rooms with ocean views and eighteen rooms with harbor views. 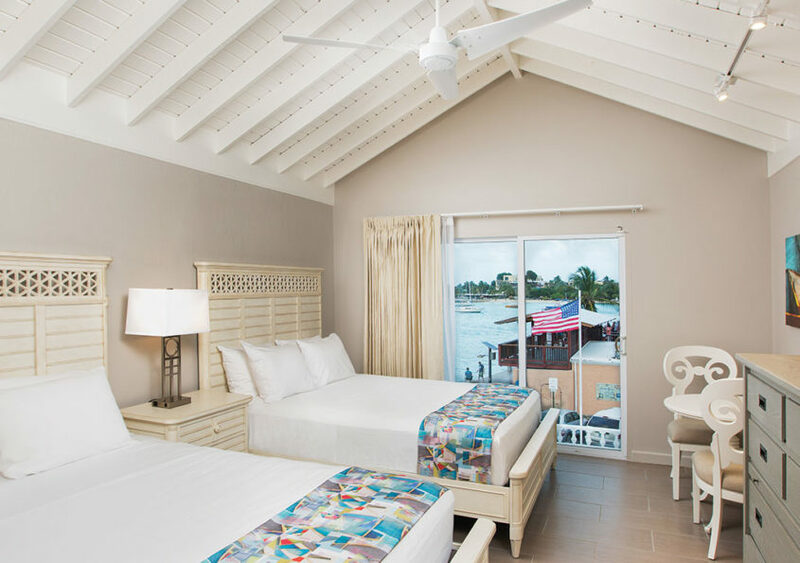 Each modern guest room is furnished with either a king size bed or two queen size beds in bright, spacious and modern decor in warm neutrals with a pop of color. 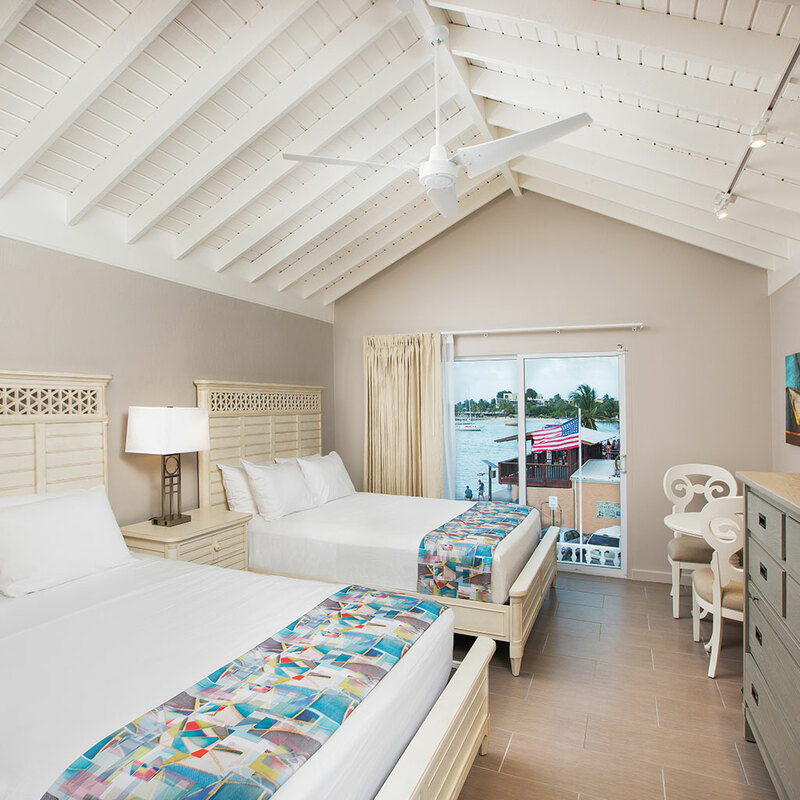 Each room offers a private bath, air conditioning, satellite TV, direct dial telephone, refrigerator, coffee maker, iron and ironing board, AM/FM radio, and complimentary Wi-Fi. 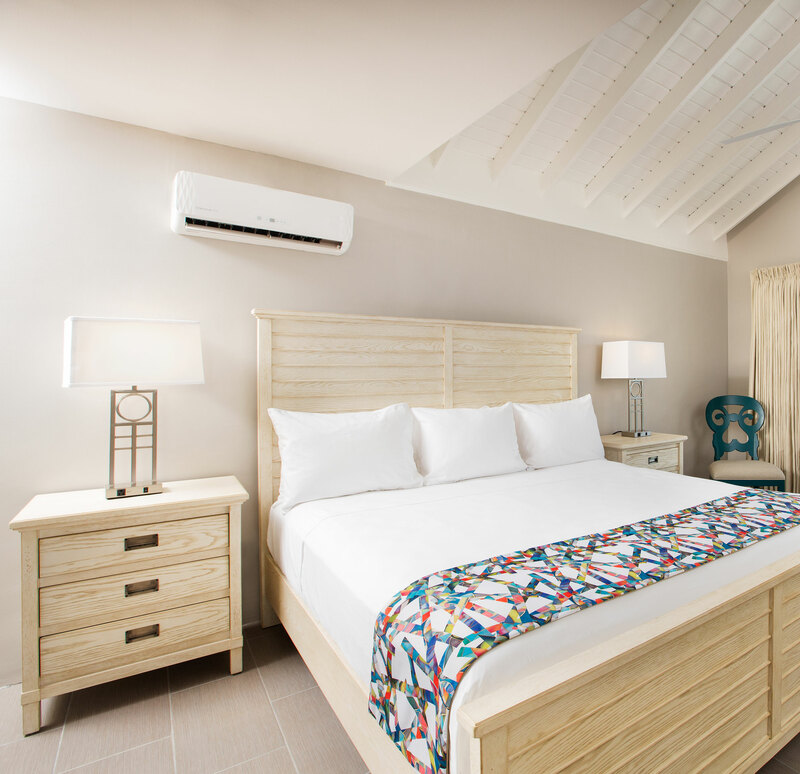 Equipped with a luxurious king size bed or two queen size beds, a dresser, and a full bathroom, Caravelle’s Ocean View Rooms are decorated with unique Caribbean accents and sleek white wooden furniture and feature a breathtaking view of the Caribbean Sea directly overlooking the Christiansted Harbor. 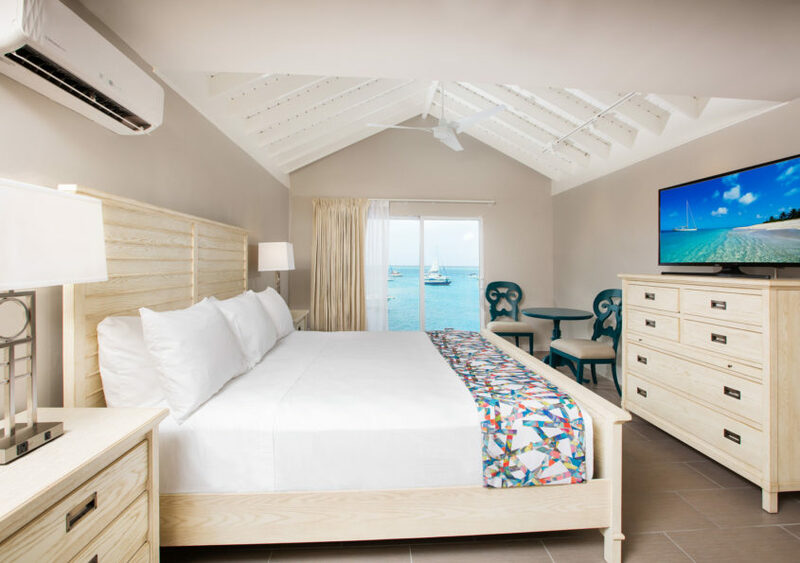 Bright, spacious, and modernly decorated in warm neutrals with a pop of color, our Harbor View rooms are equipped with a luxurious king size bed or two queen size beds, a dresser, and a full bathroom. The view from the room looks out over the boardwalk, featuring partial town-view and partial-water view. 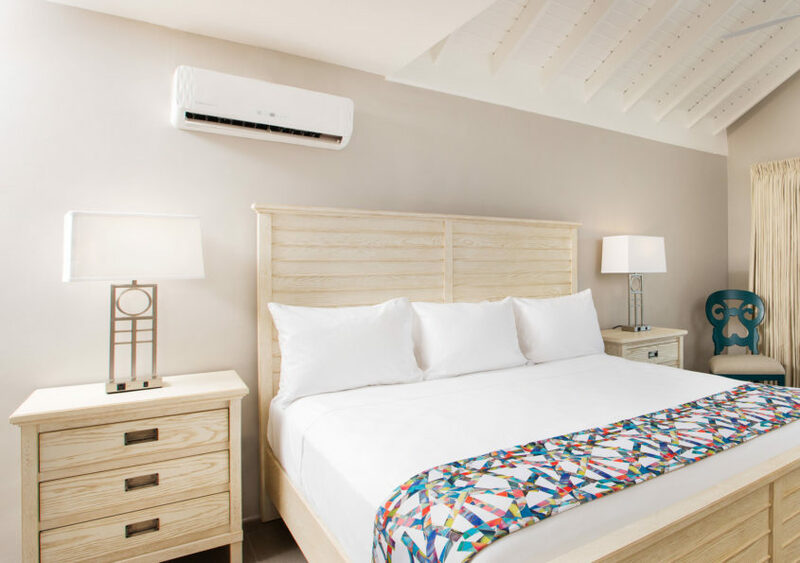 Bright, spacious, and modernly decorated in warm neutrals with a pop of color, our Standard Rooms are equipped with a luxurious king size bed or two queen size beds, a dresser, and a full bathroom. Views from the standard rooms face Christiansted town.